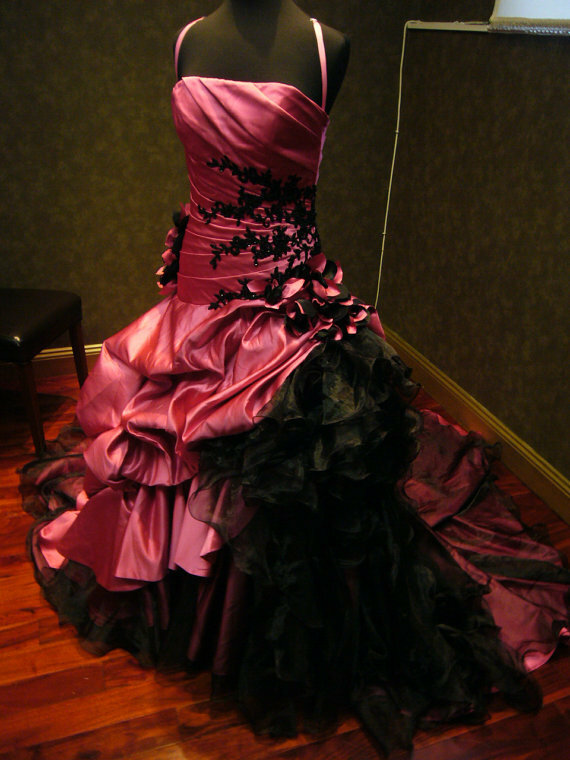 This showstopping Pink and Black Wedding Dress from WeddingDressFantasy is created with a Couture construction and is available in many colors. The gown is made with Bridal Satin, Organza and Lace. The bodice features ruching with hand stitched French Lace Applique with fabulous pick ups in the skirt. This wedding gown is truly magnificent.